Jackson Page has won the MIUS Cup at the South West Snooker Academy in Gloucester following a 4-1 victory against Hamim Hussian. The event is open to all players around the world under the age of 18, with entries this year from England, Wales, Northern Ireland, Belgium and Hong Kong. Current Welsh amateur and European Under-18 champion Page qualified for the knockout rounds by finishing top of Group D, winning six out of seven fixtures. He went on to defeat Aidan Murphy (4-1), Jamie Wilson (4-1), Bradley Cowdroy (4-2) and then Hamim Hussain (4-1) in the final to claim the title for the first time. It was the second year in a row that Hussain had lost in the final. 13-year-old Ben Mertens from Belgium got the better of Liam Davies in the final to take the Plate Event. 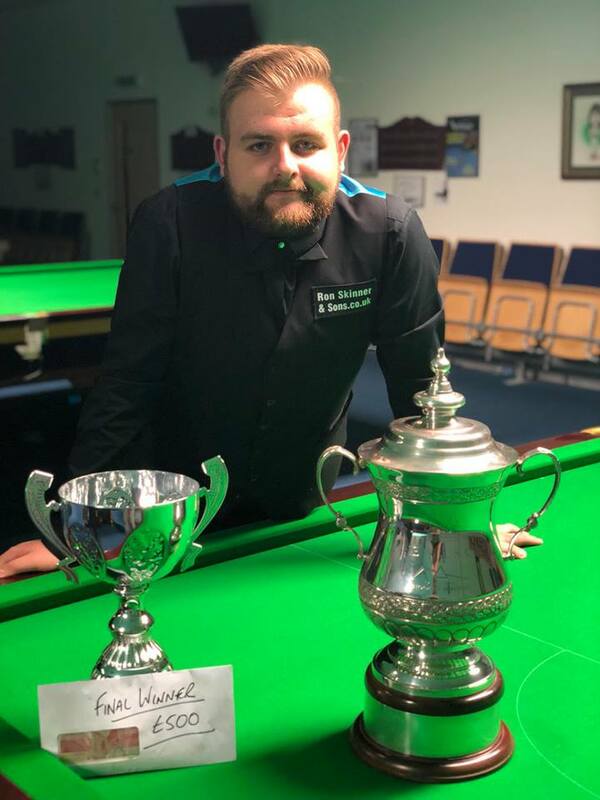 It was a good month for Ben at SWSA this month as he narrowly lost to Professional Robert Milkins in the Pink Ribbon quarter-finals. Dylan Emery of Wales made the highest break of the event with a brilliant 137.